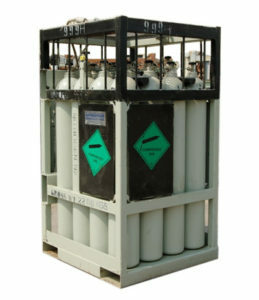 We are a renowned Zero Air manufacturer, supplier and exporters in India. Zero Air is tasteless, odorless, colorless and nonflammable gas though it might help in burning due to the presence of high contents of Oxygen in it. The main difference between Atmospheric Air and Zero air is that Zero Air contains much lesser impurity contents of water vapor and Hydrocarbons than Atmospheric air. Applications where impurities like Moisture or Hydrocarbons are not desired, such applications make use of Zero Air or Dry Air. Zero Air is produced by mixing of Pure Nitrogen and Pure Oxygen in a controlled quantity composition and under controlled atmosphere. This mixing technique requires high degree of expertise to provide a good quality Zero Air/Dry Air to make it free from moisture and Hydrocarbons. For some applications where continuous and high quantity of Zero Air is required to be feed, We make use of Zero Air cylinder quad which is nothing but number of cylinder interconnected and having common outlet. Zero Air is sometimes referred as Dry Air (because it has got much lesser content of water vapor when compared to Atmospheric Air) and also Synthetic Air (because it is man made). Zero air is an essential need of many laboratories and research centers in which it is used for various electronic instruments like GC (Gas Chromatograph). A good quality Zero Air having very low or almost negligible water and hydrocarbon content, improves the life of FID detector. We have in house laboratory equipments to check the level of purity as well as various impurities present in it. In Gas Chromatography for FID detector as a Flame Gas. In Gas Chromatography for FPD detector as a Flame Gas. In Gas Chromatography for AED detector as a Dry Air Purge Gas. In Emission analyzers to calibrate and check various impurities of Hydrocarbons. In various other chemical analysis and process control applications. These are some of the common uses of Zero Air. 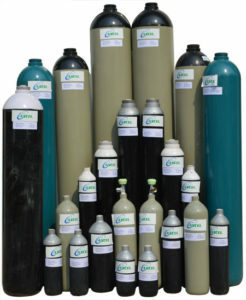 There are various other ways in which Zero Air can be used in a particular industry or process.